The exact number of jobs being eliminated will not be known for a few weeks. The plant employs just under 3,000 workers. 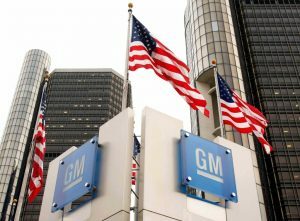 General Motors says up to 1,500 workers could be impacted. The wind down is scheduled for June 18. Senior workers will be offered a buyout package of up to $60,000 to try to reduce the need for involuntary layoffs. Some of the affected employees will be able to fill openings at other GM plants. Slower demand for cars, with an especially dramatic drop in demand for sedans in the United States. prompted the cuts. The affected plant only builds the sedan version of the Chevy Cruze. This year, car sales are down 13.2 percent. For the Chevy Cruze, sales have fallen 28 percent year-over-year and 32 percent from just four years ago. The factory was working around the clock as recently as 2016. GM eliminated the third shift at the plant in January 2017. The remaining two shifts were still more than what was needed to fill demand. GM has started building a hatchback version of the Cruze at a plant in Mexico. The hatchback accounts for less than 20 percent of its U.S. sales of the Cruze.